Whether it's an entirely different country or a town right next door, travelling according to well-known "popular"destinations isn't often indicitive of the culture and the rich history behind that location. I've been to Niagara Falls no less than 7 times so far; however, the only experience that I remember from those 7 is the time when I went with a mutual friend who is a native of Niagara Falls. He offered me different vantage points that truly made this 7th trip to Niagara Falls the most memorable. Why not make your first trip just as memorable? 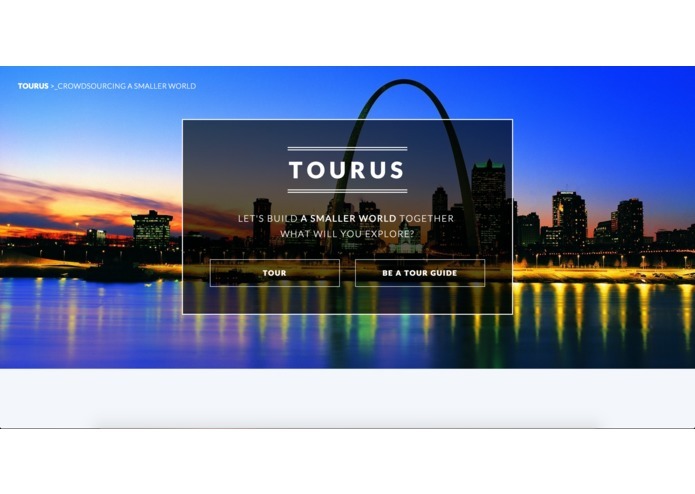 TourUs is a crowdsourcing platform that matches the interests and potential locations of tourists to various tourguides who are knowledgeable about a particular location. 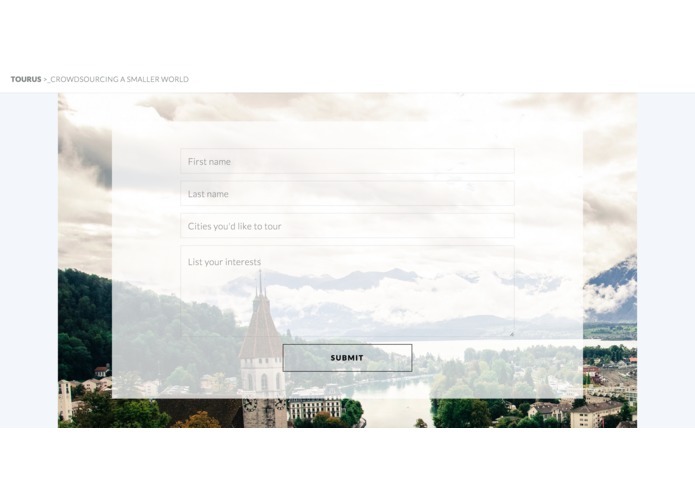 We have a custom matching algorithm that creates a "score" based on the number of mutual interests between a tourist and tourguide and returns these results back to the tourist. The tourist can then view the profile of a tourguide to judge whether or not he/she would be a good fit for them. 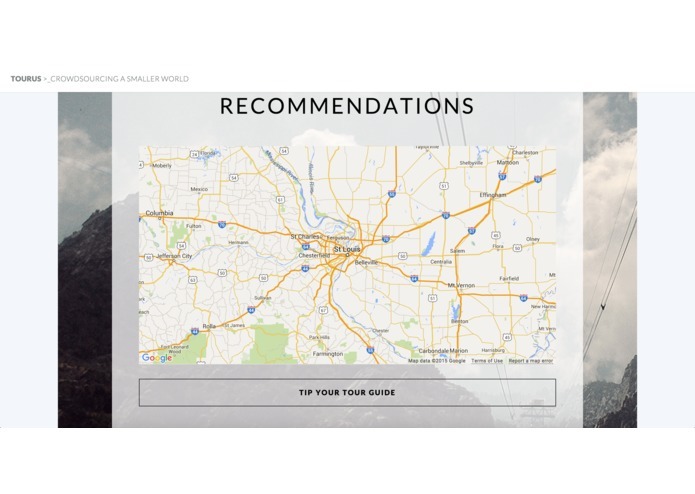 Even if the tourist doesn't wish to contact the tourguide, they can even view the list of reccommended events, places, or experiences to adventure at a certain location. They can then decide when/where they want to meet up, if they decide to do so, and the tourguide can be tipped by the tourist. We're really proud that we were able to put our idea to fruition in whatever capacity. In addition, we're proud that the matching algorithm worked as we had imagined, and that the entire website was much more polished than we originally envisioned. We learned a lot of Meteor.js this weekend. 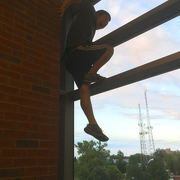 Created the frontend. Worked on the backend when I had time. Came up with idea of project. I worked on the backend, integrating the application with MongoDB.